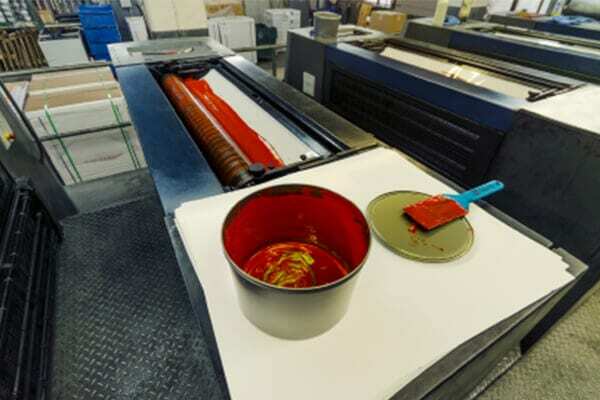 One of the most veteran and experienced printer company, Varick Street Litho (VSL Print) is one of the oldest and last remaining Offset Printing company’s in New York City. One of the most common ways of producing printed materials is offset lithography. This method is best suited to produce large quantities of high quality printed materials at commercial costs. VSL Print has taken great strides to advance its offset printing capabilities to a more modern and efficient process. The modern printing process provides many benefits from a production level as well as product standard. Machinery and technology have advanced traditional processes throughout the production process. This form of printing is the most cost-effective method for large quantity orders, and it is also the best method of ensuring color accuracy and consistency. VSL Print has built a premier team of specialists over the years to ensure the top quality levels of the offset print process and production efficiencies. Our offset printers are G7 certified, upholding an industry standard that guarantees the highest quality product all the way from proof to press. We offer a wide range of printing press options to best suit any project at hand, large or small. Compared to other methods, modern offset printing has many advantages. Prepress Production is one of the most important functions of the process. This is to ensure that all files are correctly processed. In most prepress cases, we offer blueprints for positioning and Epson proofs or Match prints for color matching. As opposed to the earlier costly and time-consuming method of manufacturing printing plates, now the process has become fast and easy. Our newer offset presses now offer directly to press plating. Ink Flow is completely controlled via production software to allow the appropriate ink coverage to pass on the proper areas of the rollers for transmission. Inline finishing processes are now possible via modern offset presses. Techniques such as UV inks, UV coating, and various lamination options are now available online. The printing process is best used for products such as Direct Mail, Magazines, Brochures, Stationary, Books, Newsprints, Postcards, and Invitations. VSL Print offers a turn key fulfillment and packaging operation. 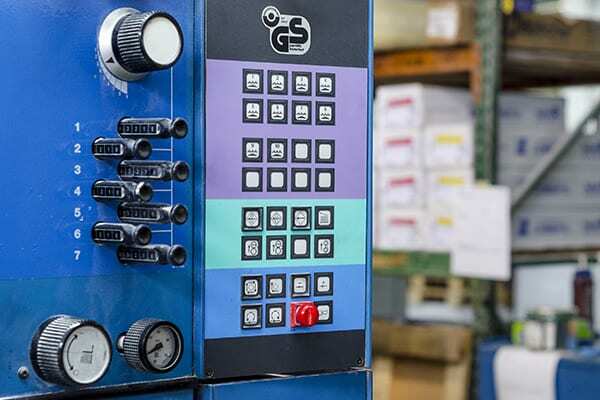 With years of experience, we have developed reliable processes and procedures to ensure your product gets where it needs to go in the most efficient manner. We can handle any size fulfillment and distribution request for NYC businesses or individuals. From large scale collating, direct mail data aggregation and distribution, to national retail drop shipment services. We work with private carriers as well as the major the carriers to best serve the respective needs of any campaign. Some of our specialties include business card, offset poster, and booklet. Our work does not just stop at offset production, but so much more. VSL Print offers a wide variety of printing services in NYC and beyond; including specialty finishing and Binding including: Engraving, Embossing, Foil Stamping, Die-Cutting, Die Scoring, Silk Screen, Letterpress, Saddle Stitch, Perfect Binding, Case Binding, Japanese Binding and more. Varick Street Litho also offers high quality digital and large format production. Offset is one of the oldest printing methods that are in use in today’s print industry. However, no matter how old it maybe, offset technique remains one of the most reliable methods there is. For those who are new in this industry, read on and know more about the facts and details of this ancient technique. The reason why offset technique has remained the preferred method in this industry is maybe the quality image that it produces. The method makes use of the CMYK color space that produces a wide array of colors in which you can use in your prints. These colors are crisp and vibrant bringing life to any image. Also, the method allows you to choose from the many color options available. For example, if you want to save on cost and you only need one or two colors in your project, offset printer allows you to do just that. One and two color printing options are available depending upon the needs of your project. Another reason why the offset technique never goes out of style is that it handles your bulk orders very well. No matter how large your orders are, the offset machine can handle them with no problems. The way the offset machine operates allow continuous operation without breaking down. It uses plates as patterns for your designs and these plates are so sturdy that they can be used again and again. It is designed to produce volumes upon volumes but it does so without forsaking quality in the process. In as little as a few days time, you can have thousands of printed materials right in the palm of your hand. Each material is the same as the other, maintaining consistency and quality every time. You can profit from such undeniable values. Have your designs and printing projects made through offset printers and you’ll understand the phase in offset method a little bit faster. The materials that you create with offset are longer lasting than other methods. This is because when the plates pass through ink rollers, the colors are stamped in place rather than just being sprayed on top of the substrate. This enables the inks on your prints to bond with the substrate. A stronger bond between the substrate and the ink means your inks will less likely to chip off when they are crumpled or folded. This is the philosophy, or for that matter the science, behind this methodology. Prints come out sharper because the inks only come into contact with the image areas. Non-printed areas are covered with a thin film of water, repelling any ink that inadvertently comes into contact. Competition in today’s printer’ marketplace demands both quantity and quantity to be delivered at the same time. One simply cannot afford to settle for something that that will have to do. Hence, offset method is the choice to accommodate such pressing demands. Using an offset machine is a more effective process. It also happens to be the most common approach used by commercial printers because it generates the most desirable products. It is found on the ideals of dispensing high-volume order that is also made in high caliber, at a short time. This type of printing is widely used for personal, commercial or corporate use. The machine can print bulks of business cards, brochures, catalogs, calendars, flyers, postcards and posters with ease and accuracy. The printing plates involve the use of multiple rollers and cylinders, wherein the plate does not come in direct contact with the paper. The inks are offset unto a rubber blanket that prints the image unto the paper. These machines produce prints that possess clarity and great detail. The process does this efficiently for the rubber blanket conforms to the paper, adhering to the surface of the paper effectively, whatever its texture may be. Added to this, the whole process makes the paper more absorbent to the ink. All of these factors contribute to the generating both images and text that are defined and intense. Offset technique results in chromaticity of your printed materials. An integration of four color process printing renders your prints to be layered with multiple colors. This makes for truly rich and vivid colors that can capture a variety of hues and tones. The CMYK cyan, magenta, yellow and black create a kaleidoscopic array of color possibilities. This is important especially when the contrast or brightness of colors on images must be observed in order to preserve its integrity. Your visually arresting posters and postcard can truly enjoy a range of colors that burst out to your prospects in New York City.